Why It Makes More Sense Now For Gerrard To Sign This Liverpool Striker On Loan for Rangers? Reports earlier had confirmed that Rangers were really interested in signing Liverpool striker Dominic Solanke on loan and the rumours in the summer were not just smoke. 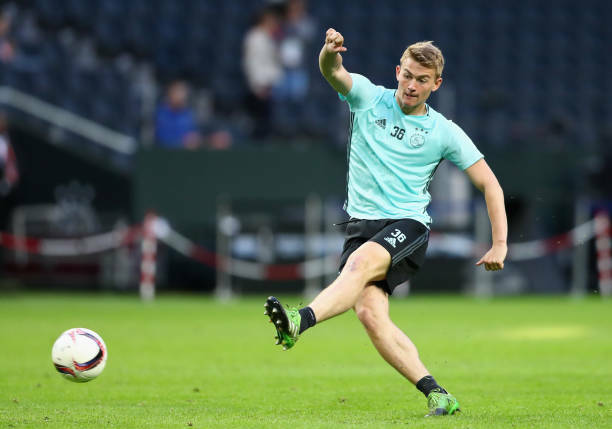 It was believed that Jurgen Klopp wanted to keep hold of him and apart from Rangers, the striker was wanted by the likes of Lyon, Huddersfield Town, Middlesbrough and Aston Villa. In hindsight, the move made sense (for Liverpool) as Klopp knew Daniel Sturridge’s injury history and the fact that the Reds sold Danny Ings on the last day of the transfer window meant Solanke would have thought that he was in with a decent shout to get some first-team action. Solanke has astonishingly even failed to make it to the bench this season let alone starting or playing a few minutes for the Merseyside club. The only time when he was involved on the bench was against Chelsea in the Carabao Cup, and it seems like Klopp prefers Divock Origi over Solanke as the third choice option (Second being Daniel Sturridge). Therefore Gerrard should bring the English forward out of his misery and sign him on loan in the January window. Gerrard has already talked about the lack of quality in the final third and signing a striker should definitely be on the list for the gaffer. Umar Sadiq’s future doesn’t look too bright at the moment as in the last game when Kyle Lafferty was out injured against St. Mirren, Sadiq didn’t even make the bench and it is clear that Gerrard doesn’t rate him too highly even though he allowed him to start against Aberdeen in the League Cup semi-final. 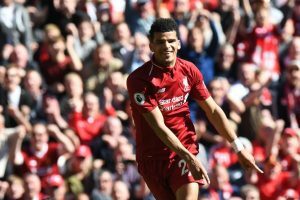 Solanke could be a game-changing signing for Gerrard, and he would have witnessed him from close quarters when he used to work with the Liverpool u-18 boys. The 21-year-old got some decent amount of game time last season as both Origi and Sturridge were out on loan. But it seems clear now that they are available, Klopp is going to prefer them as backup options over Solanke. The English striker’s record at the youth level for his country has been exemplary, and because of that, he was even fast-tracked into the senior team. He even has an appearance for the Three Lions. However, it seems like his development has been stagnated and he has to be content with playing a few minutes for the reserve team in the Premier League 2. Solanke is a proper no. 9 as he has good goal scoring instincts and along with that, he is physically strong and can act as a target man. Coming to Ibrox could be a way out for this striker, and he would bring good competition for places for Morelos and Lafferty. Signing him would be a win-win for everyone involved as at Liverpool, he doesn’t seem likely to get game time and this time Klopp should be open to the idea of sending him on loan. Liverpool Prepared To Send This English Forward Out On Loan: Does He Have A Future At Anfield? Crystal Palace Looking To Bring Liverpool Striker On Loan In January: Right Call From Hodgson? Rangers Lining Up Summer Move For 20 Y/O Liverpool Forward: Why It Is A Gamble For Gerrard!